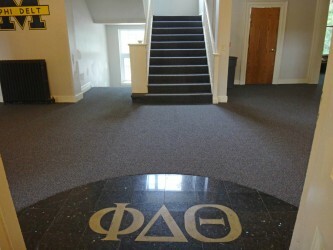 Chapter House Ready for 150th Celebration! We are pleased to announce that over the summer, the Chapter House underwent some important maintenance and improvements. Specifically, new carpet was installed in the PDT foyer. The walls are being repaired and will be painted before our 150th Anniversary celebration.